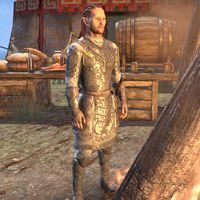 Gwinengur is a Bosmer fighter who can be found in Vivec City. He alternates between the bonfire and the food table at the Gladiator's Quarters. He cannot be talked to.